Happy Thanksgiving everyone. CRAZED! won't be posting any articles until next week. I’d originally planned to post as usual but decided to take a break until next week to allow a transition from election related op-ed pieces back to promised content including reviews of Hex and Witch, and to segue into December. Plus I’m getting over the flu. Sometimes being the sole content creator as well as Managing Editor or a weekly publication while also working another full time job, can have major drawbacks as well as perks. It can be a challenge to stay ahead of deadlines and remain on schedule. However as the boss, I can take time off or a sick day or two without getting yelled at. Also I can finally learn to ask for help. CRAZED! can't evolve and grow without you. I’ve always wanted others to contribute to CRAZED! and for it not to be another incarnation of my personal blog. I'm slowly learning how to ask people to contribute and how to find interview subjects and how not to ask. Pretty much the best way is to invite anybody to submit queries, material, and content for me to consider. So that's what I’m doing. 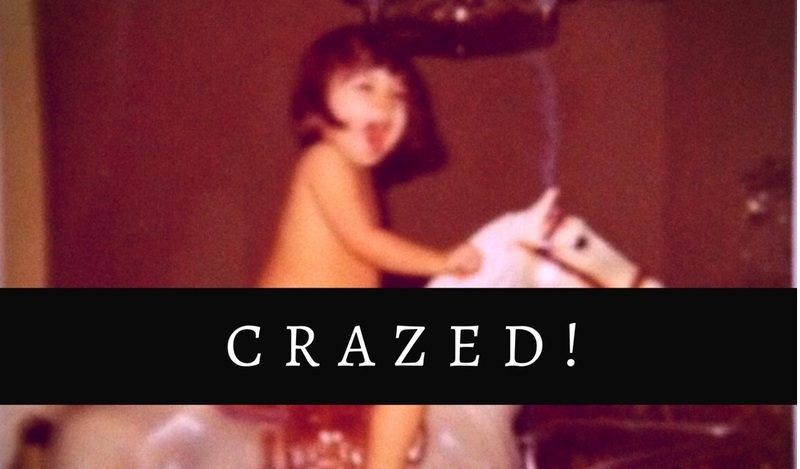 I'm asking you to submit to CRAZED! It's my dream to make CRAZED! into a real online magazine, and I can't do that alone. Besides this editorial, the only other content this week is a detailed piece on how to submit to CRAZED! with insight on what types of content we're most likely to accept as well as the rules for queries and submissions. I can't pay anybody for content. I don't make any money from CRAZED! even and my day job pays barely above minimum wage. I can just give you gratitude and “good vibes.” Plus you get publication credit and retain copyright to your work. So please consider submitting. It won't hurt. I promise. Otherwise, please subscribe to CRAZED! and share links to individual articles you enjoy and to the CRAZED! Homepage. Thanks! CRAZED! is an online lifestyle, film, arts, and entertainment zine and Annette Sugden’s personal blog. Annette Sugden is a writer, artist, performer, dancer, actor, and a bunch of other adjectives. Her work has appeared here, in Poeticdiversity.org, Gentle Strength Quarterly, Bearfoot Magazine, and Beyond Baroque Magazine. Some of her past poetry was nominated for the Pushcart Prize and Sundress Best of the Net.